Time moves fast in the world of video games. Technology changes (remember Rumble Paks? ), franchises rise and fall (just ask Guitar Hero! ), and it's hard to predict what will gain popularity (Minecraft, anyone?). 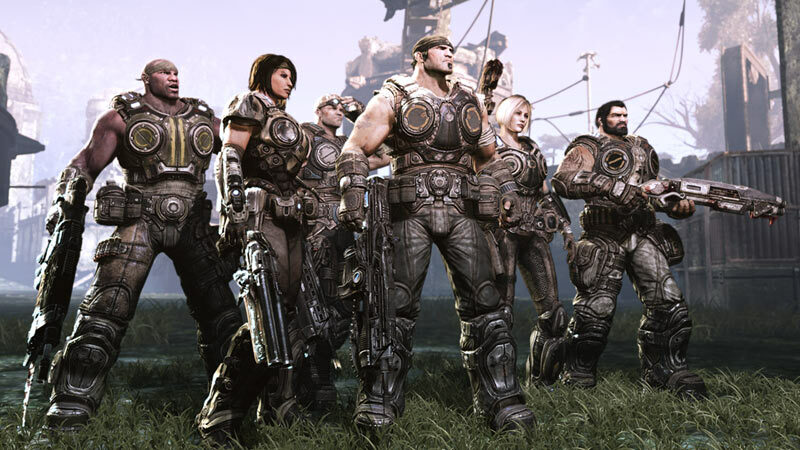 With the recent release of Gears of War 3, Jorge and I decided we would take stock of what we consider to be one of most important franchises of the last five years. This show is less about the games' specific story and more about their narrative within the industry. We talk about everything from the influence of cover to blurred genres distinctions, and close with some thoughts (and hopes) regarding Epic's future. As always, thanks for listening and feel free to voice your thoughts in the comments! 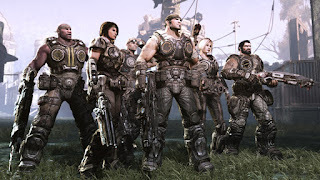 - How does Gears differ from other big franchises of last few years? - Is the series' influence understated, properly recognized, or exaggerated? - What are your hopes for Epic's future projects? Apparently the leader designer of Kill Switch also worked on the Gears series, which would explain the influence. That being said, when I talk about the Gears cover system, I mean the entire combination of features that make it what it is. The slow pace of the characters, the subsequent lethality of weapons when outside cover, the blind fire option, the blurred running feature, and even the active reload to some extent, all make cover in Gears a far more interesting and successful mechanic than it appears in its predecessors. Epic's success with cover surely influenced its popularity in the genre more than any other shooter that came before. Just a little sidenote, but don't you guys think, that this would've been a much more interesting conversation, if both of you had actually played the game you're kind of trying to talk about, somehow? Plus Scott shitting on Skyrim comparing it to that godawful looking new Zelda game? What do you think Marcus? "AWWW.......COME ON!!!" I actually did play the entire game before recording and a great deal of multiplayer. People are generally correct in saying it's not entirely remarkable. So no, I actually don't think it's relevant for this discussion. The cultural importance of the entire series is more interesting to me than just this single game. I know you played it and I fully agree, yet I still think to actually talk about the importance of the franchise (and it's future) it would've helped to be able to get into some story stuff of Gears 3. As someone who finished it you will agree that stuff happens in this game that kinda limits where they can go next..
And I also think you need to have played it to get a feeling of the general tone that game has which is so different from the other games. You don't get that in Horde mode I assume. Just my two cents, please note that I'm one of those stupid die hard "If you haven't finished it, don't review it" type of guys, so you know where I'm coming from.